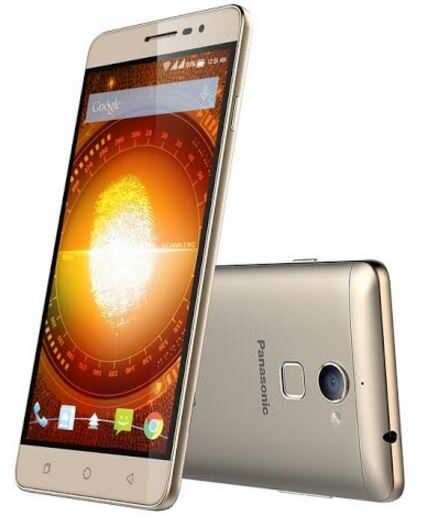 Panasonic has added a new smartphone to its Eluga line up in India with the launch of the Eluga Mark. The main highlight of the phone is that it comes with enhanced security features including a fingerprint sensor, which can store up to eight different fingerprints. The device also offers Android-for-Work support for enhanced IT security and BYOD (bring your own device) compatibility for private smart devices to operate on secure corporate networks. The Eluga Mark offers a 5.5-inch HD IPS display, and is powered by a 64-bit 1.5GHz octa-core Qualcomm Snapdragon 615 processor, aided by 2GB of RAM and an Adreno 405 GPU. For storage, it gets 16GB of internal memory, further expandable up to 32GB via a microSD card. The camera department includes a 13-megapixel primary snapper with an LED flash, and a 5-megapixel secondary snapper for selfies and video calling. In terms of connectivity, the device offers 4G LTE support, dual-SIM slots, Wi-Fi, Wi-Fi Direct, Bluetooth 4.0, micro-USB 2.0 and A-GPS. The phone is fuelled by a 2,500mAh battery. The Panasonic Eluga Mark runs Android 5.1 Lollipop with the brand’s FitHome user interface on top. The phone has been priced at Rs 11,990, and will be available in Royal Gold and Metallic Grey variants.